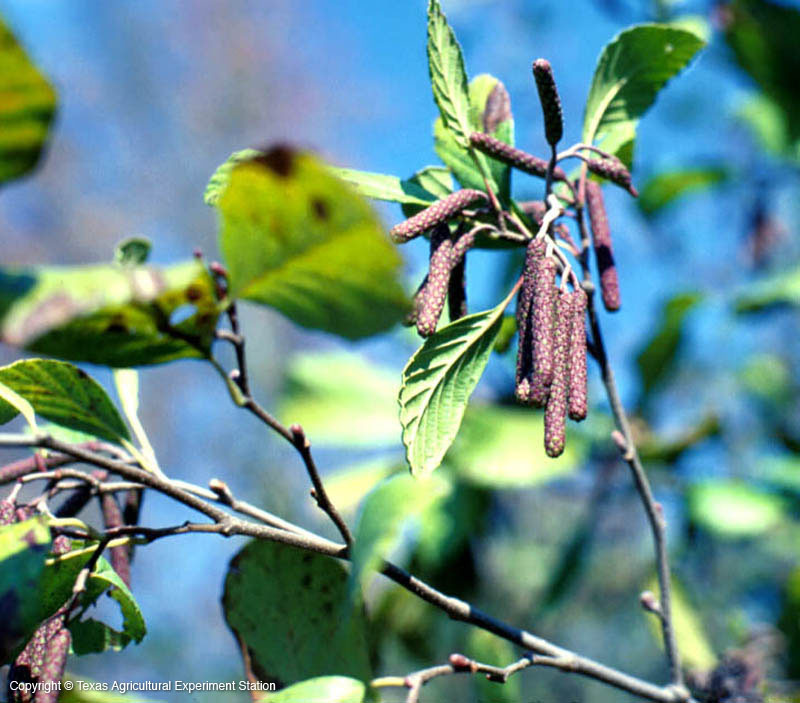 Smooth alder is a small, largely thicket-forming tree to 40 feet tall found in open, sunny areas of the east Texas Pineywoods. It requires full sun, soils that are acid or at least neutral, and copious moisture, preferring to grow on edges of ponds, streams, swamps, and sloughs. The deciduous leaves are alternate, simple, and somewhat rounded. The flowers are borne in separate catkins. The male catkins are 4-inch-long cylinders, and the females produce aggregations of small nutlets that are 1/4 to 1/2 inch long. Additional Comments: Alders are among the few nonleguminous plants that can fix atmospheric nitrogen via nitrogen-fixing bacteria in their root nodules.